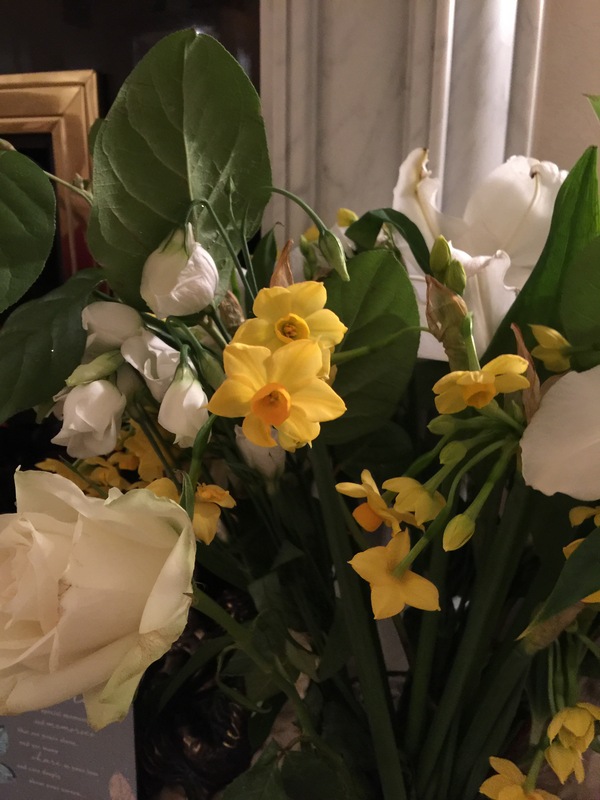 Bought some narcissuses today to brighten up my lovely but overwhelmingly white flowers. I have always loved these little things as they are a promise of Spring and better days. I am in serious need of that today. I heard on the radio that today was the most depressing day of the year. It felt it to me. I have a swirling sea of sadness inside and mostly I can keep it at bay, but should I? I think I have to live day to day and let time work it’s magic. On the positive side I did manage to get round Waitrose and even mastered the Quick Scan gizmo, although I forgot to bag as I went so I had that pleasure when I had finished. Not an exciting day but ok.
No wonder he spoke so highly of this shop!